Everyone deserves a hearty snack that's packed with flavor. 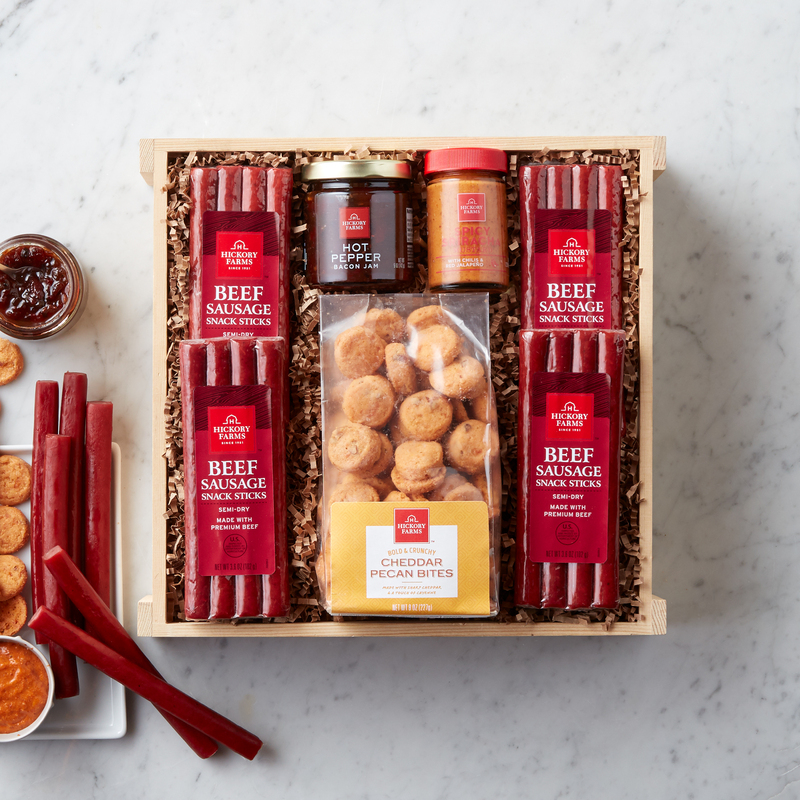 For those who like savory, smoky, and spicy, this crate is the perfect pick. It's filled with four packs of Beef Sausage Snacks, Spicy Sriracha Mustard, smoky Hot Pepper Bacon Jam, and crunchy Cheddar Pecan Bites made with a touch of cayenne for added heat.